I have written about the evolution of the text of Hoyle's Short Treatise on the Game of Whist, and how it was reprinted in Dublin both as an individual work and as part of The Polite Gamester. With this essay I begin to look at the transmission of the text to the Continent. I am greatly indebted to Manfred Zollinger, who detailed the translations of Hoyle in a piece in The Playing-Card, available in German here (pp198-210). 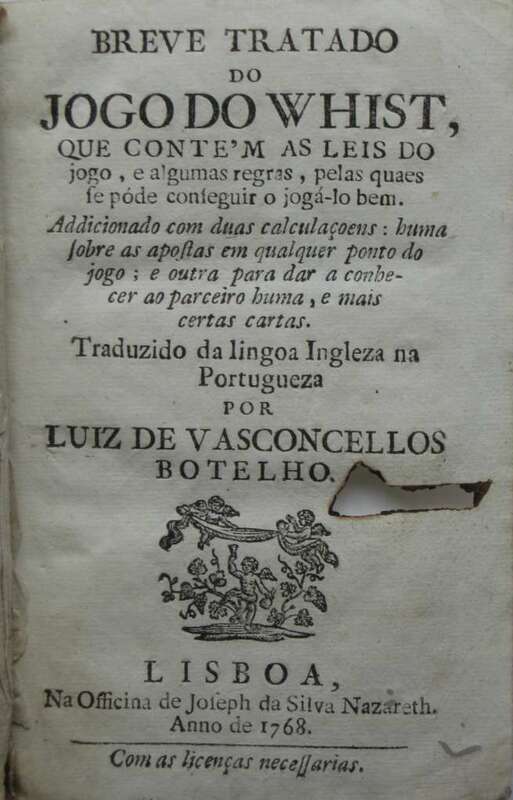 Zollinger identifies the first continental Hoyle as the 1753 work Breve Tratado do Jogo do Whist, translated by Luiz de Vasconcellos Botelho and published by Na Regia Officina Sylvania, e da Academia Real. I have not seen a copy, but Zollinger notes that the text is taken from the 1748 London "eighth" edition as it contains the thirteen cases first offered in that edition. It also contains an introduction to the reader ("a quem leur") discussing the reception of Hoyle in England. Only two copies are known to survive. More common are the later Portuguese editions which appeared in 1768, 1784, (both pictured below) and 1818. While the text could have been updated to incorporate the changes of the London "twelfth" edition of 1760 (the new laws and new cases), it seems that the text is unchanged from the first Portuguese edition. The text does add a new chapter to Hoyle, an explanation of how to play whist ("explicaçaõ do jogo"), or rules, as I call them in my essay about the nature of gaming literature. 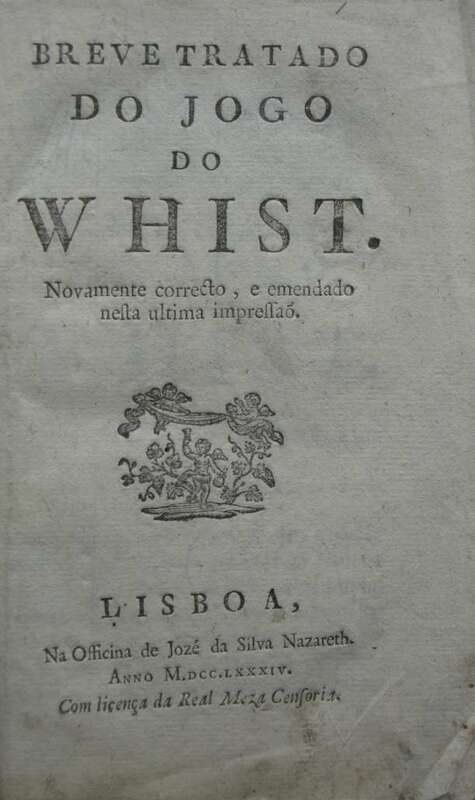 Whist.P.1: Breve Tratado do Jogo do Whist, translated by Luiz de Vasconcellos Botelho, Lisbon: Na Regia Officina Sylvania, e da Academia Real, 1753.